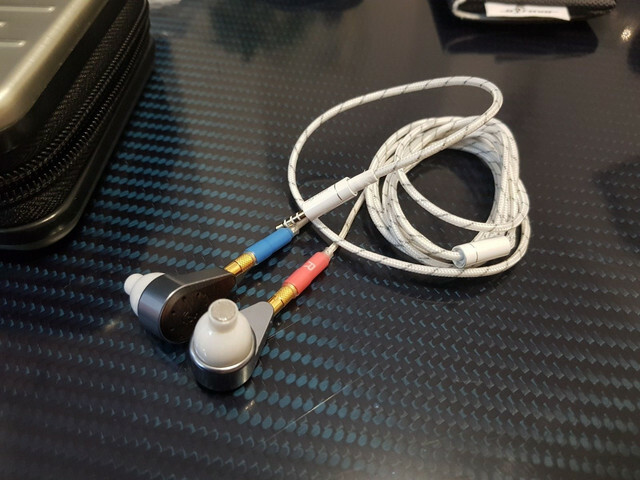 Discussion in 'Headphones for Sale / Trade' started by MarkRS, Oct 8, 2018. 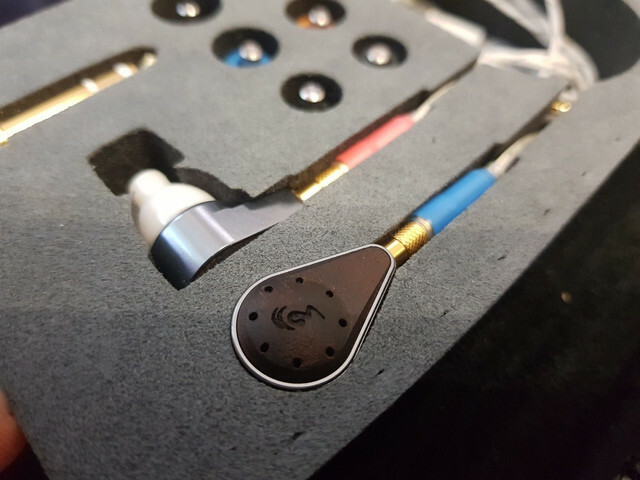 This auction is a rare opportunity to purchase one of the best (and until recently world's most expensive) in ear monitors from Obravo, the EAMT1-C. These are the very top of the range with ceramic cups for the most neutral sound possible. 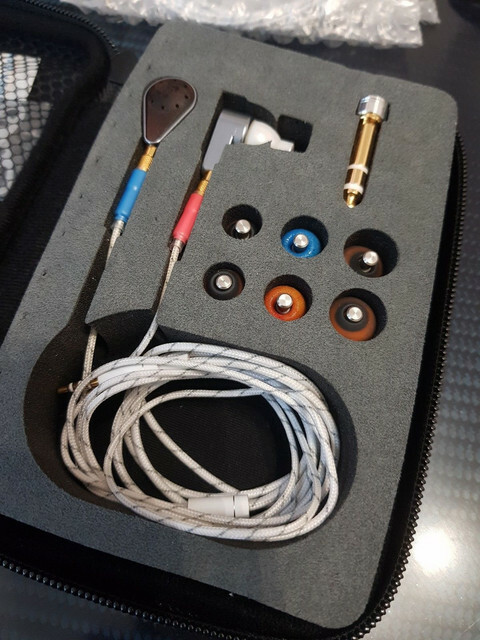 They come with the original 3.5mm cable and 2 (one unopened) 2.5mm balanced cables, along with mini flight case, ultra soft carry pouch and a set of small and large Mandarin tips (and original small Obravo tips). 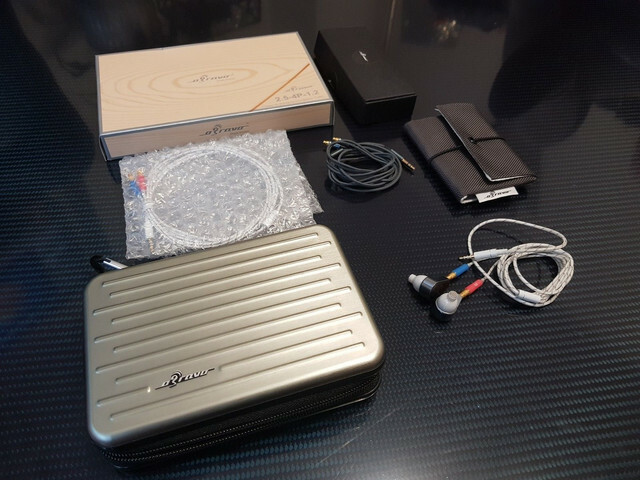 These cost £3,700 without the pouch and cables just a year ago. I'm selling them as I simply don't use them enough. How best to describe these? 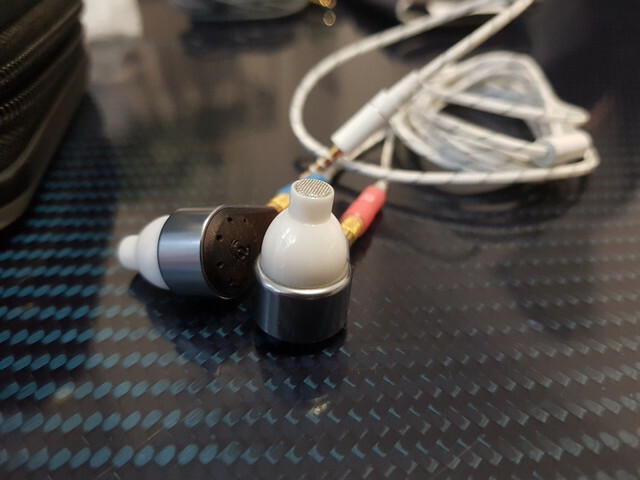 They're like an in ear PS1000e but with the extra presence of the HD800s. They are truly remarkable things, the sound is so clear, clean and crisp. Any music type is treated with such a natural representation, every subtle element is heard and given space. They use a twin driver setup, a large neodymium dynamic driver and an air motion transformer (AMT) driver for mids and higher frequencies, but, as there is no crossover, both drivers are unshackled and free to give as much as they are able, the frequency response is vast, 15hz to 45khz. These were sent to Obravo recently for a full clean and checkup (perfect condition) and are ready for the new owner. price reduced to £2000, may consider exchange for Layla 2 with a bit of cash my way or straight swap for Layla 2 with after market cable. Also consider mint HD800S and cash my way.